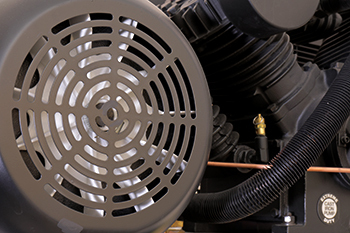 Several standout features help make BendPak air compressors better and quieter than others. Even small, subtle differences can make a huge difference when it comes to ease-of-use, longevity and CFM output. We're here to last longer and save you more in the total cost of ownership. These are three features of BendPak air compressors we think will make a world of difference to you. BendPak's air compressor designs, especially those found on our latest Elite series, are made to be quiet and efficient. If you need more power, we have it, and you'll both hear and feel our dedication to quiet efficiency. It all starts with the motor, and it's taken years to perfect our designs and get to this level. Quality tanks come with one designation: a certification by ASME, the American Society of Mechanical Engineers. Without that certification, it's illegal to use a tank in commercial applications, and it's unadvisable to use an uncertified tank in residences. 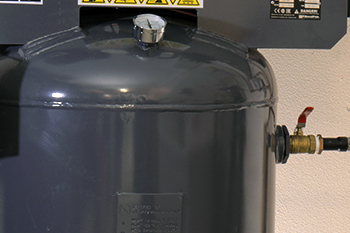 Our tanks are guaranteed safe and will last the lifetime of your compressor when operated correctly. A "low-RPM motor" is not the same thing as a low-RPM pump. Don't be fooled by misleading claims. 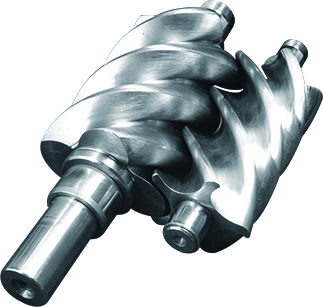 A low-RPM pump, as found on a BendPak air compressor, limits sound output by reducing the sucking/popping sound to a mere 75dB. 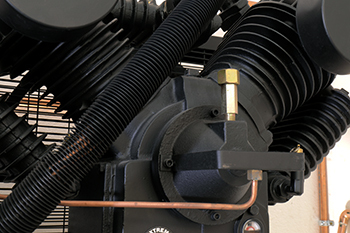 Massive pistons move more slowly while pumping more air, reducing noise pollution, so you can still communicate efficiently while operating your compressor. If you need a compressor that provides continuous airflow, costs less to maintain and significantly reduces noise output, you may consider a rotary screw air compressor. BendPak's Hush Quiet is a marvel of engineering, providing massive output at a low volume. Carry on a normal conversation in the shop—no more screaming over each other!